This listing was posted on MotorcycleDealers. 2019 Honda® Africa Twin Adventure Sports New day, new adventures Features may include: Engine & Drivetrain Power your adventure Featuring the same exhilarating 998 cc parallel-twin engine and fearless Dakar Racing heritage of the iconic Africa Twin, the upgraded ‘Adventure Sports’ version is sure to take performance to unimaginable new heights. 2018 European model shown. Engineered to perfection Four-valve Unicam cylinder head design has numerous performance benefits – including lighter weight and reduced gyro effect – while also contributing to the engine’s compact dimensions. A lightweight camshaft – using the same materials as the CBR1000RR’s camshaft – operates the valve train. 2018 European model shown. Dual spark Twin sparkplugs in each cylinder help to produce rapid, thorough combustion. 2018 European model shown. Chassis / Suspension Dual-purpose design The chassis is engineered to handle the most rugged off-road adventures, while also providing the comfort of a touring motorcycle and the everyday competence of a great all-rounder or day-to-day commuter. 2018 European model shown. Strength and agility The semi-double-cradle steel frame uses oval-shaped tubing for extra strength without extra weight. The Africa Twin Adventure Sports model also features a larger skid plate with extended fairings and protective cowl bar. 2018 European model shown. Balanced handling Careful attention to mass centralization – with heavy items like the battery packaged at the rear of the cylinder head – contributes to agile handling. 2018 European model shown. Additional Durable construction Following its design theme of “true adventure”, the Africa Twin Adventure Sports is styled with extended fairings to create a tough off-road package. The overall design offers both weather protection for the rider and a slim, agile feel. 2018 European model shown. Distinct styling The Adventure Sports version of the Africa Twin is also clad in the same instantly recognizable Honda tricolour paint and graphics as the original Africa Twin — with distinct dual LED headlamps for an imposing presence while providing excellent nighttime illumination. 2018 European model shown. Ergonimic riding position The Adventure Sports has a higher riding position for off-road enthusiasts with an ergonimic wide-to-narrow designed seat with wider footpegs, designed for extra comfort and easy transition when riding off-road. The seat can also be raised or lowered through a range of twenty mm. 2018 European model shown. 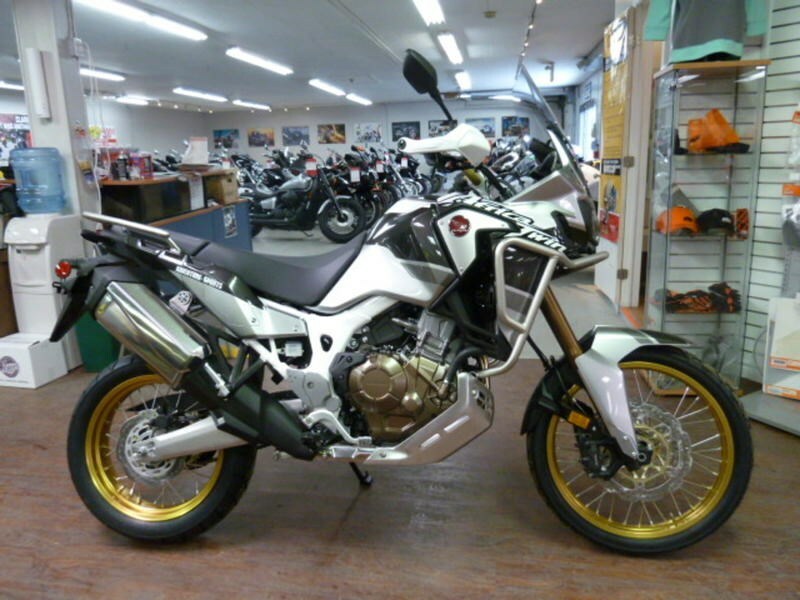 2019 Honda Africa Twin Adventure Sports Motorcycle for Sale is a 2019 Honda A Touring Motorcycle in Fenwick ON. Find other listings by searching for 2019 Honda A in Niagara Falls on Oodle Classifieds.